Today, the 11th of December we celebrate Elliott Carter’s birthday. Elliott Carter was one of America's most influential voices in classical music. Through his dynamic and highly emotional music, he has left a definite imprint on classical music of the 20th century. 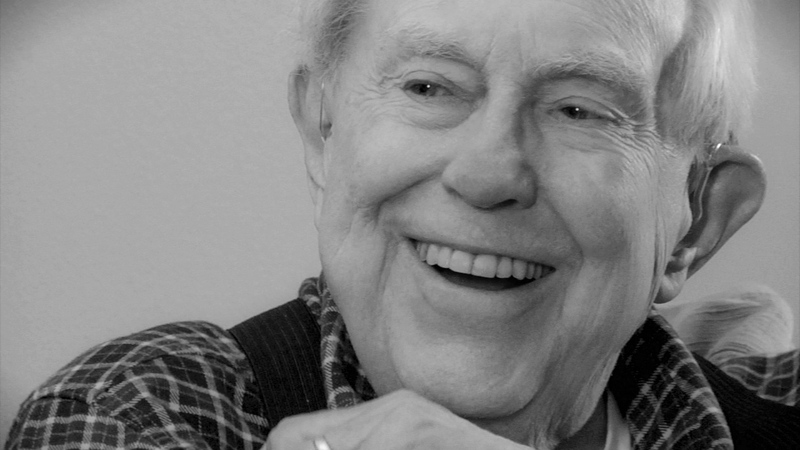 Here at Play with the Pro, we have had the honour of interviewing Elliott Carter around his 102nd birthday, back in 2010. It was shortly before attending his anniversary concert at the Lincoln Center, where Charles Neidich was going to perform Carter’s famous Clarinet Concerto. This blog post follows the conversation between one of the most prominent composers of the 20th century and one of today's most renowned clarinet players. What comes to your mind when you think about the clarinet? E. Carter: I got a very interesting view of the clarinet through Charles Neidich. I had a birthday concert some years ago in Boston. At the rehearsal the clarinetist fell and injured himself and we thought we couldn’t give the concert. Somebody called up Charlie and he came up from New York and played the concert, practically without any rehearsal and very well. After that, I really liked the clarinet. It was amazing the way he understood what the music was about without needing to have it explained by the conductor. Ever since, I had a special feeling for the clarinet. When I was commissioned by the Grand Opera in Paris to write a piece, I decided I would write a clarinet concerto. Charles how did you get interested in Elliott’s music? C.Neidich: I have to say that I have always been interested in Elliott’s music and even the first woodwind quintet I have ever played, when I was 13 years old, was Carter’s quintet that he wrote in 1948. I have been in this relationship with his music for almost forever. Many players find your pieces a bit difficult to play at first. What are your thoughts on that? E.Carter: I have felt that music which is easier to play is also less played, because people think they already know how to play it. My first piece was very easy to play and it was seldom played very well. For that very reason it doesn’t attract highly specialized performers who know how to play very well, because there is no challenge. People are always saying that my music is too hard to play, but in a way it becomes a lot easier over the years, because people now know what I write and they understand what I am trying to express. So my music is a lot easier than the first time when I started to write. This is a very old story in the history of music. People complained by Bach's music being too hard to play and to hear. I think someone asked Mozart why does he write so many notes. It’s bound to happen because the composer is busy to get his own ideas on paper and the question of difficulty is the secondary thing we think about. Do you consider that this piece has become standard? C.Neidich: Even though it has become more and more familiar among clarinetists, it’s still not standard in terms of being programmed like the Mozart concerto which is the only completely standard work which we have in a certain way. We still have a problem, that we have among clarinetists standard works, but they are not absorbed by orchestras yet. But this particular piece is fastly becoming a standard piece at least among clarinet players. E.Carter: Of course... we are talking about orchestral music. Chamber music is quite different. I mean my cello sonata for instance gets played all the time. Orchestras have a whole financial world they have to deal with and they don’t want to repeat anything because they always want the critics to come and the critics don’t come for the second performance. Charles, how do you perceive this music? C.Neidich: It’s kaleidoscopic work. A work that goes from being capricious to being very somber, to being very aggressive, to being very touching. It’s wonderful and compact, it takes only 18 minutes to play. You traverse a whole range of types of music, of characters and of emotions. It’s tremendous in that way. The danger I have had while playing your concerto with the different groups of 5s which are actually phrased in 4s and 3s is that when I play with conductors, sometimes the conductors get swallowed up into the tempo that I am playing and they start going faster and then I have to go faster and then they go faster again and so on. It’s dangerous for the conductor especially if it’s a conductor who doesn’t understand your music so well. Do you remember the process of composing this piece? E.Carter: Writing all my pieces is partially a struggle. What always happens is that I have many different ideas. I sort of had all the sections of this piece before I started. Only then I began figuring out how to write it so that it would sound the way I wanted and also the order the section would come in. Originally I had the idea that the clarinet should play with each one of the different groups of instruments and also all the types of playing the clarinet could do interested me a lot. How can you explain your extreme productivity over the past 20-30 years? E.Carter: There are many things that can answer that. One of them is that I learned how to write my music as I went along in my life. Also, I am far less critical. When I write i just decide I will write what I think and that will be it. I have decided I will write the music spontaneously. On the other hand the problem of writing music was that the music does not exist unless there is a beginning and an end. As a tribute to Elliott Carter and his work we want to offer you all the video of Charles Neidich performing Carter’s Clarinet Concerto for his 102nd anniversary. You can watch the free full version here.